I like Izzy. She so wants to be a normal teenager but that is rather difficult considering that she comes from a long line of monster hunters. She has never had the opportunity to go to school or make friends her own age. So when she has to attend a high school so that she can discover the ghost that is behind the hauntings, it is a whole new world to her. 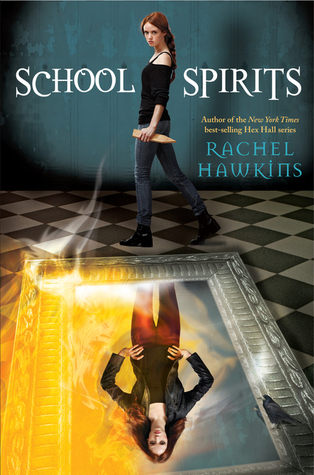 I found that SCHOOL SPIRITS was a fun book to read even though the subject matter of the ghost out for revenge is dark in a fun kind of way. The main character Izzy and her sidekicks are easy to relate too even though we really don't get a chance to really get to know any of them with the exception on Izzy. I think that this book would be perfect for younger teenage girls as it does explore friendships, the world of high school, and the beginnings of a relationship with Dex. While there is violence, it isn't the sort that should bother a younger reader because it is caused by the ghost. I rate this book a 3.8.